"I have not met a single franchisee who can say with a straight face they have made money," he said. "We worked three years with no payment to ourselves and finally realised we were losing about $500 a day." Mr Bulmer blames Pie Face for opening a rival store nearby and for not investing in marketing. "All I know is there was no problem with customers or cashflow until they started opening stores that were too close together." Angry former Pie Face franchisees are calling on the competition regulator to revive its probe into the collapsed fast-food chain, amid claims more stores are set to close and a vast majority are unprofitable. Pie Face, which has 28 company-owned stores and 44 franchises, appointed voluntary administrators on Thursday, saying it sought "to improve the financial position of the domestic business by developing our franchise network and our wholesale business". The debt load of the one-time sharemarket hopeful has not been revealed, but its investors are seeking to refinance and maintain that the business can be turned around. But an existing franchisee estimates that 85 per cent of Pie Face's Australian stores are unprofitable, and the remainder are "barely breaking even or turning a small profit". The franchisee, who declined to be named, has based this figure on sales reports given to the company's local stores. The franchisee described Monday's conference call between franchisees and management, including new CEO Kevin Waite and founder Wayne Homschek, as "very emotional", with promises of strong cost-cutting and talk of how the Pie Face brand will survive through a buyout. A second meeting is planned for early next week. The franchisee predicted more than 10 stores would close in NSW and Victoria over the next fortnight, and said so-called company stores were simply stores franchisees had been unable to make profitable. The franchisee said Pie Face franchisees were battling network rents of up to 25 per cent of sales, higher-than-average costs of goods, royalties of between 7 and 8 per cent, plus bank costs and dropping sales. "We have an old-food offering that people don't eat any more, and we're seen as expensive," the franchisee said. Stores have been losing between seven and 10 per cent in sales year-on-year for the last four years, the franchisee said, again citing sales reports. The declines were initially blamed on the financial crisis. Former franchisees say they complained to the competition regulator two years ago about alleged false representations and misleading earnings, but the Australian Competition and Consumer Commission never contacted them. Prit Dutta, who owned two Pie Face stores, said the ACCC had "no choice" but to revive its Pie Face investigation. "They need to open the books. We want to know where the money went." 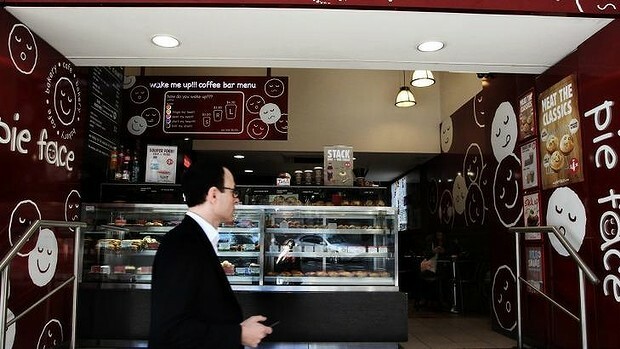 But the ACCC, which investigates alleged breaches of the Franchising Code or the Competition and Consumer Act 2010 and can take enforcement action, declined to comment on "potential investigations or complaints received". Tom Bulmer is a Canadian national who says he lost $200,000. He handed back the Brisbane store he ran with his wife Irena in May last year. "I have not met a single franchisee who can say with a straight face they have made money," he said. "We worked three years with no payment to ourselves and finally realised we were losing about $500 a day." Mr Bulmer blames Pie Face for opening a rival store nearby and for not investing in marketing. "All I know is there was no problem with customers or cashflow until they started opening stores that were too close together." Pie Face was founded in Sydney in 2003 by Mr Homschek and his wife Betty Fong, who spotted a gap in the market for a healthier version of the well-known Aussie pie. Ben Macpherson, the brother of supermodel Elle Macpherson, was the company's chief marketing officer until last year. Pie Face has raised more than $35 million over the last five years from investors including retail entrepreneur Brett Blundy, Rothschild Australia chairmanTrevor Rowe and former Austereo executive Brian Bickmore. Angus Geddes, the founder of Fat Prophets who is estimated to have invested about $5 million into Pie Face for a 6 per cent stake, said he was "confident that we can get out of voluntary administration very quickly".